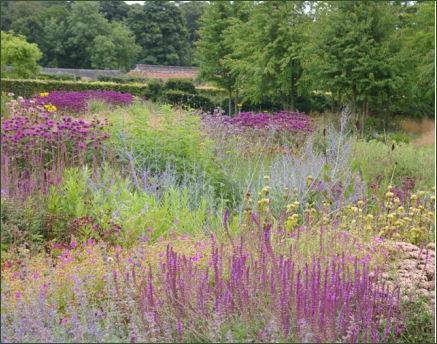 Scampston Walled Garden near to the town of Malton is a stunningly beautiful contemporary garden, quite unlike any other. 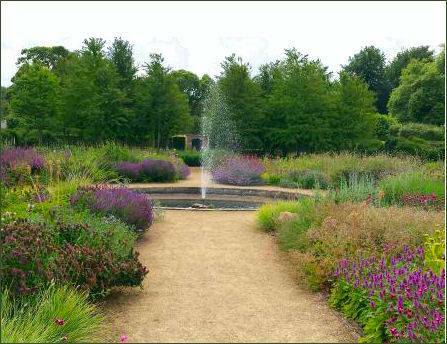 Designed by the renowned Dutch plantsman, Piet Oudolf, and featuring modern, perennial meadow planting alongside more traditional areas, the garden is open to the public from Easter to October every year. Already acclaimed as one of the finest gardens to visit in North Yorkshire, it boasts the The Garden Restaurant where visitors can enjoy a delicious lunch or simply a refreshing cup of tea and a snack. Many of the plants displayed in the garden can also be bought on site in the plant nursery sales area, including those interesting and unusual plants that are particular to Scampston Walled Garden. The other parts of the grounds to enjoy at Scampston are the Cascade Circuit, a peaceful area to enjoy a quiet stroll and to explore the gardens around the Hall, and The Park. Designed by Capability Brown,the park provides a beautiful setting, magnificent views and plenty of space for events. Scampston Hall and The Walled Garden at Scampston are situated on the north side of the A64 Leeds/Scarborough road, approximately 5 miles from Malton and just to the east of the village of Rillington. From Leeds/York/Malton - Follow the A64 toward Scarborough, bypassing Malton. Half a mile after the traffic lights in Rillington take the left turn signed Scampston Only and follow signs to the Walled Garden. From Scarborough- Follow the A64 towards York passing Heslerton and the turning to Yedingham and Snainton. Half a mile after crossing Scampston Bridge take the next right signed Scampston Only and follow signs to the Walled Garden. From Hull/Beverley- Follow the B1248 to Malton and join the A64 towards Scarborough. Half a mile after the traffic lights in Rillington take the left turn signed Scampston Only and follow signs to the Walled Garden. From Whitby/Pickering-Follow the A169 to the Malton bypass and join the A64 towards Scarborough. Half a mile after the traffic lights in Rillington take the left turn signed Scampston Only and follow signs to the Walled Garden.